Nail polish is probably the most noxious beauty product that most people use regularly. There really is no “chemical free” way to make pretty colours stick to your nails naturally. Likewise the chemicals needed to take non-water based nail polishes off – you need to fight fire with fire. Any substance strong enough to dissolve plastic and paint is not going to do your skin any favours. I really feel for nail salon staff breathing in those fumes day in and day out. I prefer to avoid acetone-based nail polish removers as acetone is particularly harsh on the nails. LAQA & Co. is a brand I first bought because of their cool nail polish pens featuring packaging with original artwork by young artists who get a cut of the profits of each polish sold. I ended up liking the polish pens more in theory than reality but I did discover the nail polish remover pads which were included in a set. The pack contains 32 thin cotton pads that have been pre-soaked with nail polish remover. 1 pad removes the polish from two hands if you are taking off light colours. For dark colours, I went through through two pads. I was concerned that the wipes would dry out but I’ve had my pack open for several months and haven’t had any problems. The container is also very handy for travel. Be warned that you will need to wash your hands after as your fingers will feel slightly oily after using the pads. 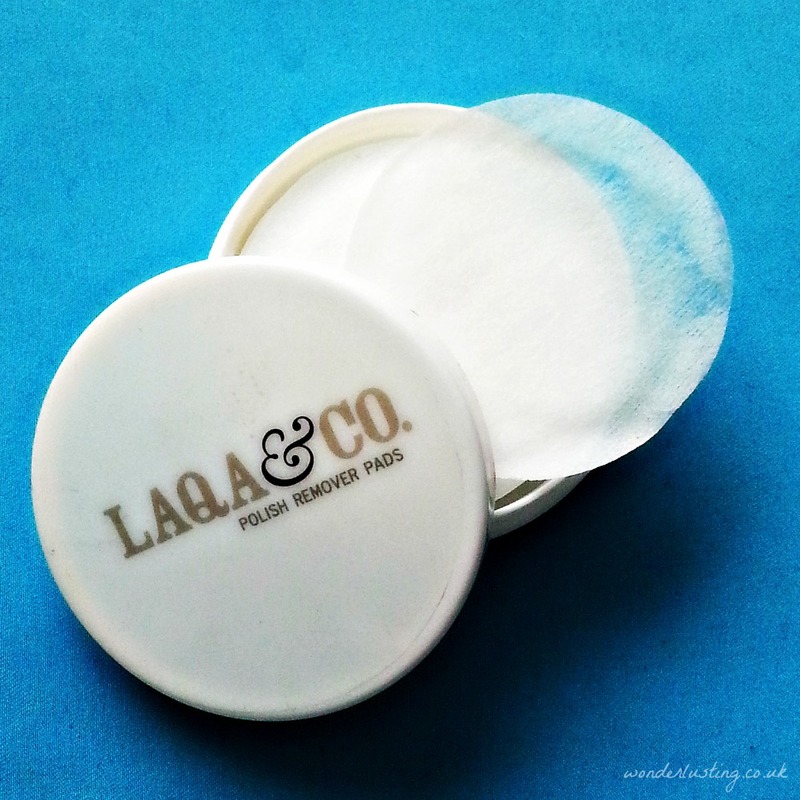 The LAQA & Co wipes take nail polish off without drying the nails whatsoever or any of the usual pong, just a whiff of vanilla. My nails don’t feel like they’ve been tortured more like they’ve had a nice spa session. This is hands down the best nail polish remover, I’ve used…..so far. 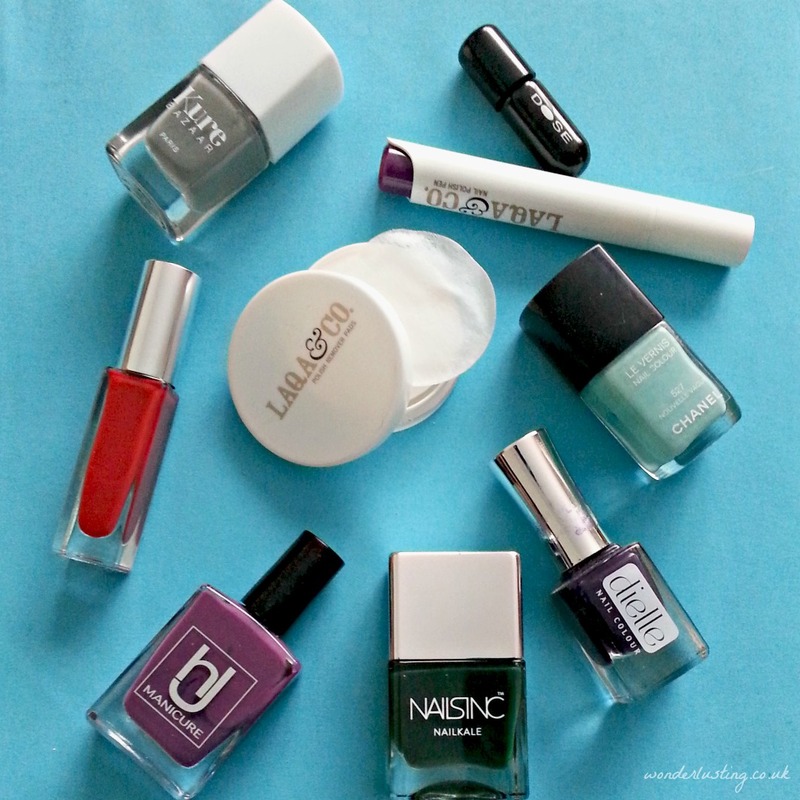 Any other great nail polish removers I should know about? This is interesting. I received these for review a few years ago, and HATED them – found them totally ineffective. But I think I had gotten an old batch, because the pads were quite dry and there wasn’t enough ‘stuff’ on them to remove my polish. If I get the chance I’ll have to try them again and see how I fare – sounds like they’re worth a second look! Def sounds like you got a dodgy batch. It took over 3 months for me to finish the pack and the last pad was still effective. How did you get on with the pens?….they were a bit of a dud for me.